Saturday we did a hike up a mountain. When we got to the top, the view was amazing! Who knew that in the middle of the desert there is a beautiful palm tree and pond oasis?! It was so cool! and all of a sudden there is a hidden oasis! A little area with palm tree and a pond created by an earthquake on the San Andreas fault. Then back through the desert to where we started. It was a fun family hike!! On Friday we went to the Children's Museum in Palm Springs. It was a fun museum with lots of great areas to explore! We are really loving Palm Springs! Everyday is sunny and beautiful, it's perfect. The boys discovered that swimming at night with glow sticks is really fun! On Tuesday, the boys, Grandma & I went to the Shields Date & Grapefruit orchards. We walked around a really nice garden, watched a little movie about how dates are grown, and sampled a few dates. Saturday we went on a hike in the Thousand Palms Oasis Nature Preserve. Friday, our third day, we drove into San Diego. We stopped at La Jolla beach to check out the sea lions and seals, walk around and climb around on the rocks for a bit. After we were done in La Jolla, we stopped at a skateboard store. Michael bought himself a new skateboard and took it for a spin right away. Then we went over to Mission beach. It was sunny and hot and we were ready to cool off in the ocean. 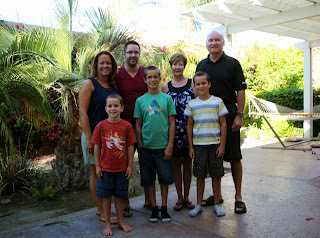 Once we were finished at the beach, we stopped at a really great restaurant on the way back to Palm Springs. We all had a very fun, busy and exciting 3 days in San Diego! 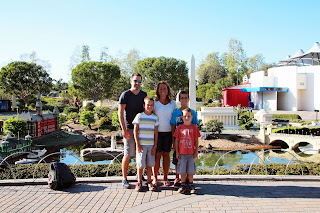 Day 2 was all about LEGOLAND!! 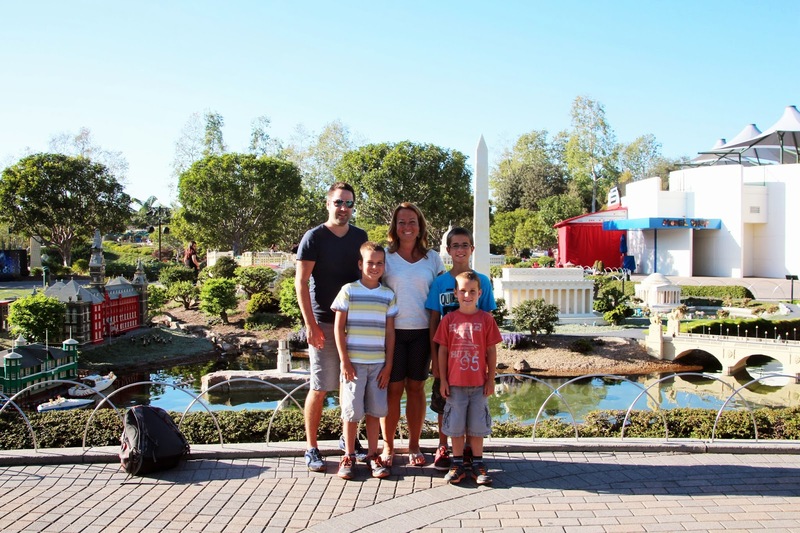 The boys have been looking forward to going to Legoland for a long time. They were so excited and had so much fun! After a long, hot day - we all cooled off in the hotel pool. Perfect ending to an awesome day!